The Department of Lotteries has a wide distribution network consisting of more than 35,000 agents and above 100,000 retailers. The guidelines for starting an agency or becoming an agent are very simple and that too without any substantial investment. This has helped many an unskilled personnel find daily income for their family. 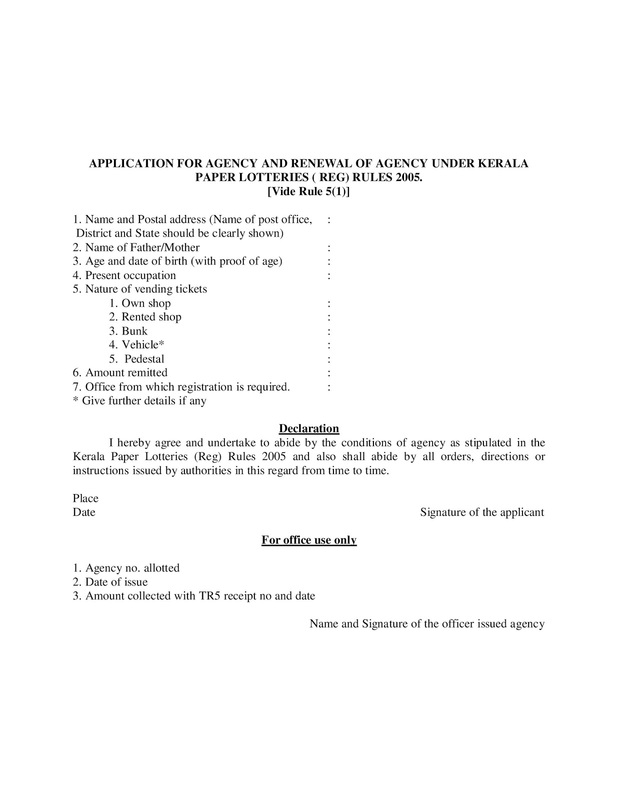 Any Indian who is above the age of 18 can become a Kerala State Lotteries Agent. A person who applies in the prescribed form along with the necessary fees (Rs.200/-) and two passport size photos at the Directorate and District Lottery Offices can become an agent. This initial registration is valid for a calender year. Afterwards the agent can renew his/her agency, just for a fee of Rs. 50 per year. Casual agency is issued from District Lottery Offices on remitting a fee of Rs.50/-for a particular lottery. 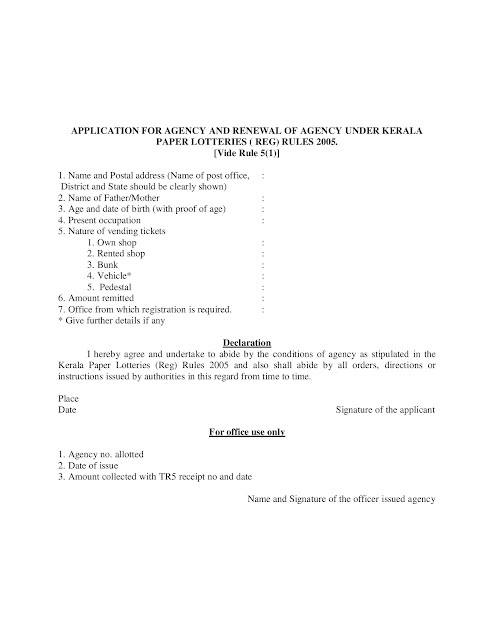 At present, agencies are issued only from District Lottery Offices.